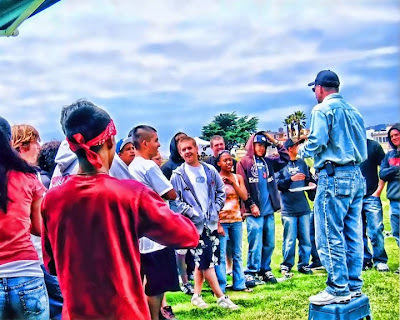 The first time I open-air preached (pictured above), I began by using trivia and the offer of dollar bills for right answers as a means of drawing a crowd. I learned this, as I have learned so many other things in ministry and in life, from my good friend and one of my mentors, Ray Comfort. I continued to use various means to draw a crowd for years to come; and I have taught literally hundreds of people to do the same. No one, and I mean no one, is better at drawing a crowd than Ray Comfort. And those of us who have tried to duplicate this ability do so in vain. Ray just has that "something." Whether it's his whimsical demeanor, New Zealand accent, or the uncanny ability to get away with saying things that would get another preacher punched in the mouth, or a combination of all of these traits and more, Ray can draw a crowd anywhere, any place, anytime. Not only can he draw a crowd, but he can hold a crowd. Like a conductor of a symphony, or a Grand Master chess player, Ray moves people like a conductor moves an orchestra to play as he wishes--like a master tactician moves pieces on a board, thinking several moves ahead. I am very grateful to Ray Comfort for the many things he has taught me, including how to draw a crowd. Over the years, however, I have seen a downside to crowd-drawing efforts, particularly among the less-experienced preachers in the biblical evangelism community. Unfortunately, there are some within the biblical evangelism community who see crowd-drawing efforts as a necessity, and not as they should be seen--an option. Again, I am not opposed to using pragmatic means in order to draw a crowd. And again, I did it for a number of years. But I no longer try to draw crowds. Instead of drawing crowds artificially, I simply read the Word of God and/or preach the law and the gospel, and allow crowds to form organically, if they form at all. 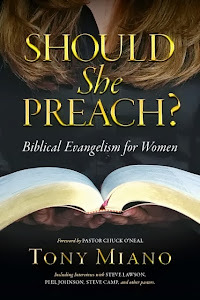 It is important to remember and keep in mind that ultimately the biblical evangelist preaches to an audience of ONE--the Lord Jesus Christ. The first aspect of the call of an open-air preacher is to love the Lord his God with all his heart, mind, soul, and strength. Open-air preaching is first and foremost an act of worship. Second: it is an act of obedience. And third: it is an act of love both to Christ and to all who may hear (thus, loving your neighbor as yourself). Is not God sovereign over the public reading of His Word? Is God not sovereign over the public declaration of His law and gospel? Of course He is! God does not need our help. God needs nothing from us. What He wants from us He commands. And He has commanded us to go and herald the gospel to every creature (Acts 1:8) and to make disciples of people from every nation (Matthew 28:18-20). The gospel of Jesus Christ does not need our help. It only needs to be proclaimed--obediently, lovingly, truthfully, urgently, and passionately. To assert that one must use man-derived, man-initiated, man-executed means to draw a crowd is to assert, on some level, that the Word of God and the preaching of the gospel somehow lacks the power to do so. 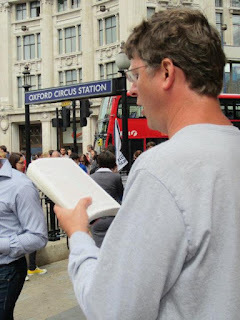 While no godly open-air preacher, even those who use artificial means to draw a crowd, would ever suggest God and His gospel lack power to do anything; they are, in a pragmatic sense, suggesting that very idea by insisting upon the necessity of artificial, crowd-drawing tactics in order to be an effective open-air preacher. 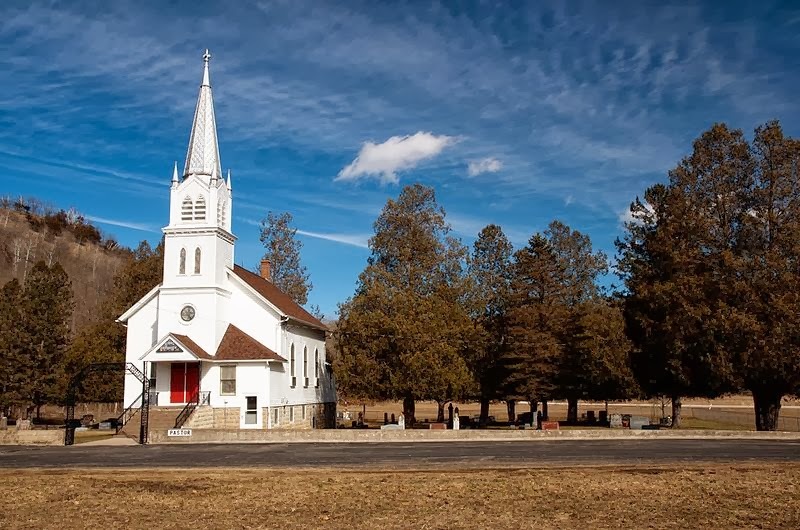 Certainly, any honest open-air preacher wants to preach to large crowds--not to build their own notoriety, but for the glory of Christ and for the furtherance of His Gospel. However, what we want as open-air preachers is secondary, if not irrelevant, to what God has commanded. Any and all crowd-drawing tactics, while not unbiblical, are, at the very least extra-biblical, which means the Word of God neither commands nor condemns the activity. So, for anyone to assert such tactics are necessary is to give the traditions of men an almost Vatican-esque authority, thus challenging the authority of what the Word of God actually says. Again, let me be clear. I do not believe any godly open-air preacher thinks this way. But the suggestion of necessity in doing things not prescribed in Scripture is, in a pragmatic sense, giving too much credence to the traditions of men. I've watched with a troubled soul as new open-air preachers have tried in vain to draw a crowd. I've watched them try to draw a crowd in situations and circumstances that would give even Ray Comfort's crowd-drawing abilities a run for their money. I've watched (and it was painful to watch) as budding open-air preachers bow their heads in defeat, holding dollar bills in one hand and a list of trivia questions in the other. And I know what they were thinking. I can't do this. I'm no good at this. This is embarrassing. Why did I ever let myself get talked into standing on this box? In times such as the one I've just described, my response to the deflated rookie open-air preacher is always the same. I get their attention. I look them square in the eye. And I utter two simple words. The gospel is the power of God for salvation; not our ability to draw and keep a crowd. The Word of God is sharper than any two-edged sword; not the sharpness of our wit or our ability to capture someone's attention. Some will quickly retort with: "But what good is it to preach the Gospel, if there is no one in front of you to listen?" My answer is simple. God is sovereign over this, too. Everyone God wants to hear the open-air proclamation of His gospel, on any given day and in any given situation, will most certainly hear the gospel. Whether it is one person hiding in the shadows and outside the preacher's field of view, or a crowd of hundreds ready to pull the preacher down off his box, God has preordained from eternity past who will hear the gospel on any given day and who will respond with repentance and faith in the Lord Jesus Christ. So, if you are like me and do not see the need to use artificial means to draw a crowd; if you are like me and you simply want to stand atop a box, read the Word of God, and preach; do not allow the opinions of men leave you feeling in any way inadequate. Remember, the enemy used Job's friends to discourage him. 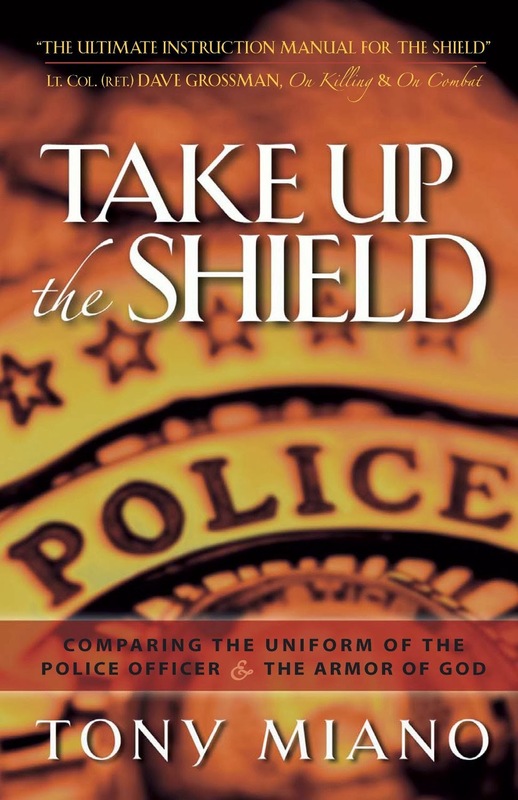 The enemy would love to destroy your open-air ministry by either leaving you so discouraged you stop preaching, or by convincing you to be someone you're not in order to have you walk lock-step with other open-air preachers, with whom you tactically disagree. If you are trying to be the next Ray Comfort, knock it off. There is and there will only be one Ray Comfort. 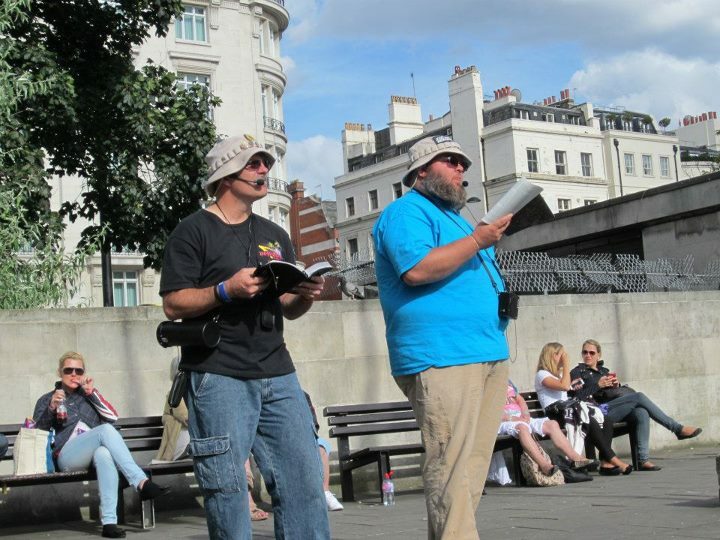 And I thank God for how He has used Ray to quite literally bring about a revolution of open-air preaching. Don't try to be Ray. Don't try to be Tony. Don't try to be your team leader or your ministry partner. Be yourself and follow the convictions the Lord has laid on your heart, whether or not that means using or not using artificial means for drawing a crowd. Be the man of God He has created you to be. Be the preacher He has designed you to be. Follow the conscience God has given you with complete confidence--not in yourself, but in the sovereign God who called you. Preach the glorious gospel of Jesus Christ as the Lord has called you to preach it. Worry not about drawing crowds. Think only of glorifying Christ and heralding His gospel. And it would be good to remember this. The gospel of Jesus Christ is both good news and bad news. It is both a blessing and a curse. It is an aroma of life to those whom God will save and it is an aroma of death to those whom will perish in their sins. You do not know for whom it will mean life or death. You have no idea who has been set apart as one of God's elect. So, you must preach to all with the boldness of a lion, the gentleness of a dove, and the love of a bridegroom. And you must preach with a sense of urgency--fully expecting the Lord to redeem the last soul to be redeemed while you are standing on the box. I never worry about the size of the crowd. I no longer try to use artificial means to draw a crowd. I simply read the Word and herald His gospel. I trust His sovereign grace, and not my own ability, to see to it that those whom He has given ears to hear will hear the preaching of His glorious gospel. I trust His sovereign will to draw those to Himself (John 6:44) whom He has appointed (Acts 13:48) to be part of His elect (Matthew 24:22; Matthew 24:31; Romans 8:33; Romans 11:7; 2 Timothy 2:10; 1 Peter 1:1) and beloved children (Romans 8:16-21; Ephesians 5:1; Philippians 2:15; 1 John 3:10). Worry less about your ability to draw a crowd, and concern yourself more with the doctrinal precision of the content of your messages. Worry less about your ability to hold a crowd, and concern yourself more with the amount of time you spend lifting, exalting, heralding, and declaring the name that is above every name (Acts 4:12; Philippians 2:9)--the name of the Lord Jesus Christ. Worry less about keeping pace with other open-air preachers. Worry less about pleasing men, and concern yourself more with glorifying God, through your preaching. Worry less about the size of the crowd, and concern yourself more with the size of your heart for Christ and for the lost. I have a great deal of respect for the person who is able to draw large crowds for the purpose of preaching the authentic gospel. But I have just as much respect for the person who stands at the corner, day in and day out, heralding the gospel to just a few; for the person who consistently stands atop a box to herald the gospel when it seems that no one is listening; for the person who sees his Bible as his preferred prop and is not afraid to open it and read it to whoever may hear. Stop worrying about the size of the crowd. Just preach. Just preach. Just preach!